Nobody likes to see beetles in the house. 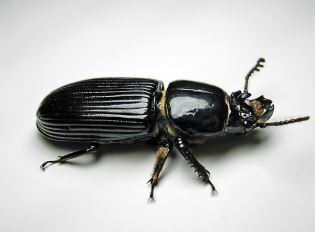 Beetles set off a bad taste in everyone's mouth, and if a gust sees a carpet beetle cruising through your house, they could think less of your sanitary applications in your home. Walnut Creek Pest Control takes care of all carpet beetle problems in your home and does what they can do to make sure that they will not be coming back into your home anytime soon. If you live in Walnut Creek, Concord, Pleasant Hill, Antioch, Martinez, Clayton, Danville, Pittsburg, Napa, Lafayette, Moraga, Oakland, or any of the surrounding cities and are noticing a growing carpet beetle infestation coming into your property, take care of it as soon as you can. 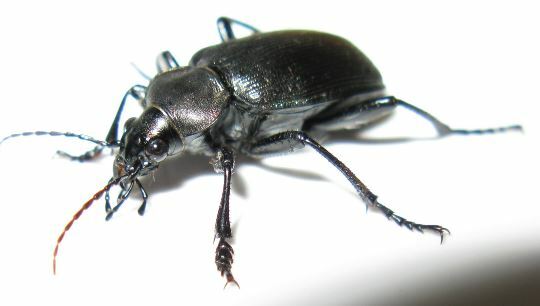 If you catch the beetles in time before they begin to mate and lay eggs, you may be safe. If they have already laid eggs, that is different story. Walnut Creek Pest Control has a great inspection team to identify and exterminate any noticeable carpet beetles and keeps them from thriving. We identify where the common areas that they could be laying eggs on your property, and are sure to knock any noticeable critters and egg sacs out before there is another infestation on deck. Carpet Beetles are very small creatures, often being only about 3 millimeters long in size. They can be found often times in houses without causing too much harm, but they can feed on almost anything. They can cause biological damage as well as damage to your fibers of your clothing, carpets and furniture, and other covered areas. Carpet beetles are often seen to be in gardens during the summer months, and during that time of year, it is nearly inconceivable to rid a home of carpet beetles without calling in a professional exterminator to do the trick. Our pest experts will check air ducts, closets, furniture, and other areas of the home for possible places that a beetle will lay its eggs. Anything made of felt, fibers, cotton, or similar substances are all among items in the food pyramid for carpet beetles. If you see one in home, nothing is safe and you need an exterminator on site as soon as possible. To reach a pest service agent, call (925) 329-3366 or fill out this quote form to the right or below.